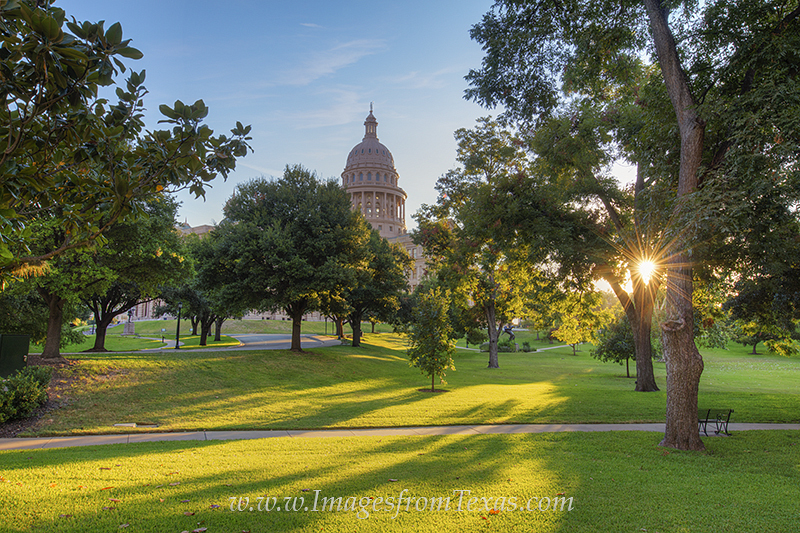 Beautiful grass, trees, and flowers surround the Capitol building in Austin, Texas. Here, the sun peeks through a tree on the southwest portion of the green lawn. In the distance, the dome of the State Capitol rises into the cool Autumn air. Photo © copyright by Rob Greebon.